You can’t dispute the prevalence of social media: TechCrunch pegs 73% of US adults as users of social networks; Facebook has become the most visited site on the entire Internet. The challenge for businesses is to extract value from the time spent engaging with this mass of digital humanity; it has to be much more that just being social. We’ve been active in social media since the days when “poking” was the predominant Facebook activity; we get it and will help you understand and profit from it. We provide the ideas and tools to start and shape conversation, grow networks and create lasting relationships. Did you miss our November 17, free Facebook Page for Business seminar at the Branford, CT Baymont Inn? Many found it valuable, such as Torrington Sober House director Fred Carpenter: “Andrew: Good job! That coming from a 5th grade teacher”. 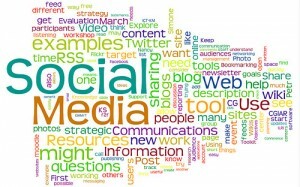 We are planning to have another seminar in the spring, in the meantime please visit our blog for updated information on harnessing the power of Social Media.